After a month of waiting, Innovation for Social Impact Partnership (ISIP) released the first batches of social enterprises that will undergo the Social Impact Accelerator (SIA) program. Hundreds of entries from all over the country in varying fields like education, environment, science, and technology competed for the slots, but only 10 got in. Virtualahan, along with the other nine, will go through the SIA program in the succeeding months, October and November. Doreen Gersava, represented Virtualahan in the live pitching, while the rest of the team, Ryan, Rose, and Josh joined in virtually for the question and answer. 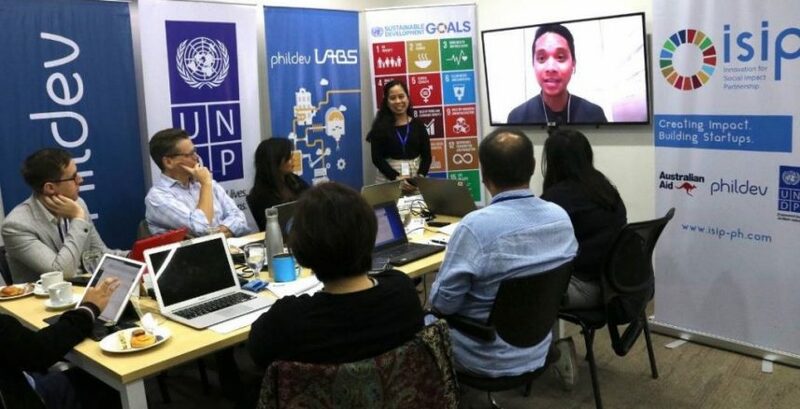 The Social Impact Accelerator is one of the initiatives under the Innovation for Social Impact Partnership (ISIP) project co-implemented by PhilDev Foundation and UNDP Philippines, supported by the Australian Department of Foreign Affairs and Trade. I went to Medellin to visit my sister from The DO School, a platform that equips organizations and individuals and inspires them to do more for society. She introduced me to Felipe. 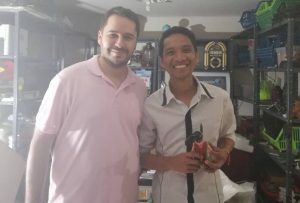 Felipe is an engineer and inventor of low-cost Accessibility Devices that use recycled home items and customize them to the needs of a specific disability. Since he started this vision, he has already invented more than 200 devices ranging from a foot mouse to a wheelchair for kids. He maximizes Youtube and other social media channels to teach people how to use the materials he introduced. Now, he has over a thousand subscribers and his videos have millions of views already. Seeing him for the first time, instantly created a connection. My supposed to be 30-minute meeting lasted for more than 3 hours. We shared the stories of why we are doing what we’re doing and then the struggles that we are facing in running our companies. It was deep and emotional that we we both knew that we needed that conversation to lift up each other. We couldn’t give and we shouldn’t give up millions of PWDs depend on the changes disability champions like us make. Working with the disability community has its special challenge and using entrepreneurship as a tool makes it more difficult. This is why, advocates like Felipe and me get our spirit dejected at times. There are even times that companies don’t take him seriously and sometimes he’d lose deals because he doesn’t have a fancy office. On top of that there are people who would bring him down for doing good, but continues anyway. The struggle is real but any signs of giving up, not even a shadow, could be seen in Felipe’s eyes. Despite what others tell him, he continues to do more to impact more people. And soon, I know very soon, he will scale up and the world will see how much he could make a difference. Felipe is a real DOer! He taught me to appreciate more the beauty of humility, tenacity, hardwork, and love for the community. Now we are excited to take it forward by working together to bring each other’s solution to our respective countries. Felipe, you are not alone in this battle. We need more people like you. “Spread the word and give hope ”, A mantra Virtualahan and Accenture both live by. The partnership of these two agencies have created opportunities expansion and scaling to impact more lives. 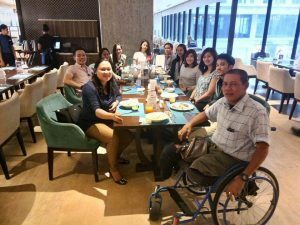 With the partnership with Accenture Cebu, a mobile app (A11Y) is soon to be launched to help PWDs to have better and easier access to public spaces. To celebrate this milestone, Virtualahan and Accenture Cebu dined together in Bai Hotel. Ms. Maita Eg-ogan and Mr. Joelito Anabieza are Virtualahan’s in-house representatives. A11Y has promising benefits in helping out PWDs with mobility issues. It helps locate parking lots, ramps, and buildings that are PWD friendly. These are just a few of a hundred more benefits the app could give. And to add to this wonderful news, Virtualahan community members will be the first users of this mobile app after its official launching this year. Our gratitude abounds. Thank you to Accenture Cebu and to everyone for making this possible! That’s right. People living with this condition can even live normal lives as long as they know the right treatment and medications. Epilepsy is a common serious chronic brain disorder that affected over 50 million people around the world, and a quarter million are affected in the Philippines. 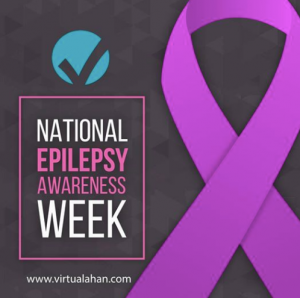 Last September 3, we joined the country in this year’s National Epilepsy Awareness week to widen the social reach of informing the public. Lack of awareness and understanding about epilepsy lead to misconceptions and social stigma hindering the access to effective treatment. September 13 (Thursday)—Virtualahan Batch 23’s intensive digital skills training commenced. Thirteen promising virtual professionals are now ready to explore and experience firsthand the world of digital employment. “This is a promising batch, with impressive teamwork”, says Coach Josh, Virtualahan’s head training officer. He couldn’t help but admire their dedication, perseverance, hardwork and sincerity they all showed during the stretch of the training weeks. With the ethics, resilience and determination embodied during the training, no doubt job opportunities will soon flock them. Congratulations to Batch 23! Thank you for choosing Virtualahan to be your partner in digital skills training. 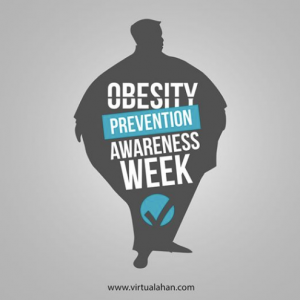 With the trends of unhealthy lifestyle, cases of obesity grow rapidly. But every first week of September we are reminded that this must be addressed. Obesity management must be sought to help reduce life-threatening disease like heart disease and type 2 diabetes and help improve the quality of life. NEWSTART is the way to live a healthier life. Eat Nutritious whole food. Exercise regularly. Drink 8-10 glasses of Water daily. Expose yourself to good Sunlight. Abstain from something bad but be Temperate with something good. Breathe fresh Air. Reward yourself a day Rest for the week. And most importantly Trust in God always.